As the Hollywood Reporter notes, Netflix is preparing to run a four-part, one-hour docudrama series featuring a famous Italian soccer club, Juventus. The series, entitled “Juventus FC.” will follow the players and coaches in both their personal and professional lives. The series will be a window into a sport that is followed all over the world, except for the United States. Soccer as a sport has never quite caught on in the United States for a number of reasons. The sport does not have the history and tradition that baseball has nor the action and violence that is featured in American-style football. Many Americans complain about the lack of action that is often featured in soccer play, with people running up and down a field with very few instances of scoring. Soccer in America does have a small but avid fan base. The sport has also become a favorite for young people to play in leagues after school and on weekends. Nevertheless, the recent humiliating loss of the American men’s soccer team to Trinidad that disqualified it from World Cup competition failed to elicit the sort of national trauma that it would have in other countries, for example, Italy. Juventus was founded in 1897. Dubbed “the Old Lady” the team is noted for two things, their black and white striped jerseys and winning soccer matches. This year Juventus became the first team in Italy to win six consecutive titles in the top division for soccer. Juventus has won 63 major titles since its formation and has provided more players than any other club to the Italian national team. Italy has won four World Cups since 1934. 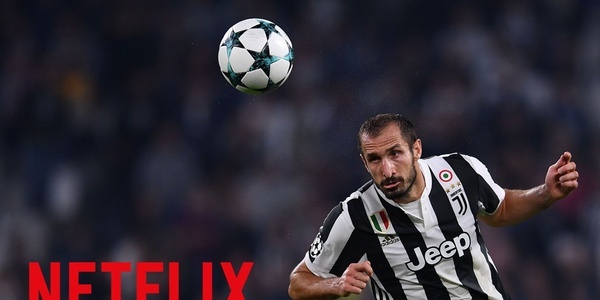 “Juventus FC” will likely be very popular with Netflix’s worldwide audience. The series will also be an entry into something that the famous live streaming service has lacked, that being sports and the drama that surrounds it. Sports has been, until now, one of the last territories that Netflix has yet to conquer. For American audiences, the series will be something of a revelation into a sport that many in the United States are unfamiliar with, and do not follow. Will “Juventus FC” spark more interest in soccer in America? Perhaps or perhaps not. The lives of soccer players may have more commonality with those of baseball or football players than many realize. “Juventus FC” is scheduled to start streaming on Netflix in early 2018.